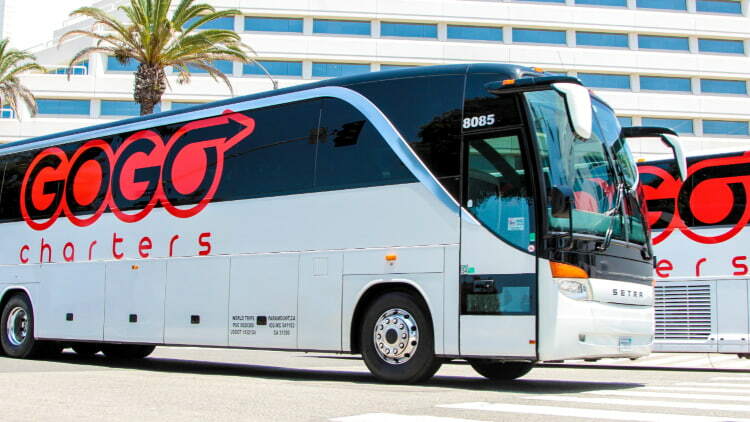 If you’re a drum corps looking for travel arrangements for your next summer tour, trust GOGO Charters to find exactly what you need for reliable ground transportation throughout the United States. We’ve gained experience in booking fleets of charter buses for sports teams, corporate planners, and other passengers in need of large-scale transportation. When you’re traveling from coast to coast, you need a charter bus company you can rely on; let GOGO Charters transport your drum corps to victory this summer! GOGO Charters books charter buses of varying sizes and styles, allowing us to customize bus fleets based on each individual group’s needs. Full-sized models can accommodate up to 56 passengers at a time, while minibuses can transport 18 to 35 passengers at a time. We’re prepared to book transportation for full, 150-members corps groups such as Carolina Crown and Blue Devils as well as small corps not affiliated with Drum Corps International. We’ll put together a custom fleet that suits your corps’s needs, no matter how many passengers you’re traveling with. We know that your corps members will spend many days and nights on the road-- that’s why we make sure that the buses in your drum corps fleet are outfitted with comfortable amenities to help performers and staff members relax and recharge while you travel. Ask your reservation specialist about booking charter buses with reclining seats, extra legroom, entertainment add-ons, and more. During the day, corps members can stay entertained with televisions with DVD players, WiFi, and power outlets to keep devices charged. Overnight, reclining seats and air conditioning make for a comfortable and relaxing sleeping environment. You’ll also have plenty of storage space to keep suitcases, instruments, props, and other show essentials tucked away in spacious luggage bays beneath your bus. Overhead racks above seats also help to store carry-on items, keeping the aisles clear and free of clutter. You’ll be able to relax knowing that all of your gear is safely stowed away right on your bus. The Boston Crusaders at the DCI Southeastern Championship Prelims Atlanta, GA. Photo credit: Alexdi, Wikimedia Commons. No changes were made to this photograph. GOGO Charters services major cities and city suburbs across the United States. No matter where this year’s DCI show tour takes you, we’ll make sure you travel safely to every stop, from June’s season opener to August’s DCI World Championship Finals in Indianapolis. During your journey, you can leave all travel logistics in the hands of our experienced reservation specialists. We’ll secure parking and staging areas for your bus before your arrive to each destination, and ensure that each driver knows where to pick up and drop off your passengers. 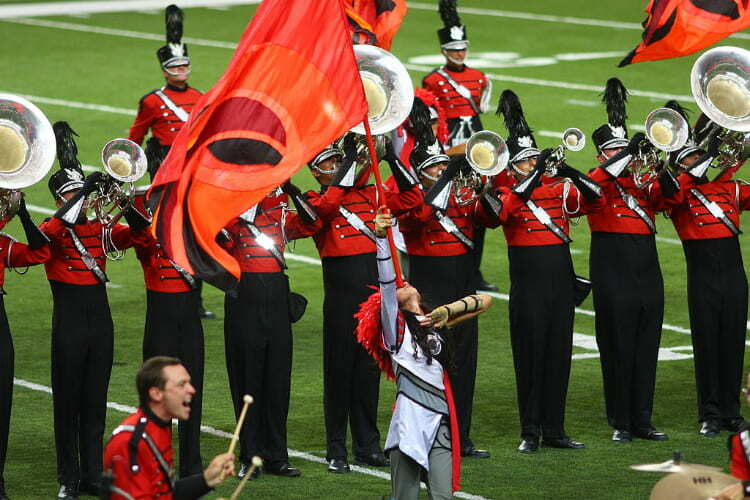 All you have to do is focus on preparing your corps for an unforgettable show! We’ll pair you with a team of drivers who will follow your pre-determined itinerary without missing a beat. From performance venues to practice areas to local attractions, we’ll keep your corps moving smoothly from one city to the next. Choose when you’d like to let your corps enjoy a day off and when you need to schedule extra rehearsals. All summer long, you’ll be in control of your itinerary. When it’s ready, share your summer itinerary with your reservation specialist, and we’ll make sure that your drivers know exactly where you’re headed and when you need to arrive. Need to make an adjustment to your summer schedule? Just give your reservation specialist a call, and we’ll make sure your drivers stay up-to-date on your itinerary. Treat the members of your corps to a team-building event after a Spring Training rehearsal with the help of GOGO Charters. Book a minibus to transport staff members or individual sections to a nearby restaurant or to a local attraction for a quick break from the rigorous 12-hour daily training schedule. Corps members can relax, socialize, and enjoy themselves without the pressure of rehearsal. Plus, with a personal driver by your side, you won’t have to worry about separating into multiple cars or searching for parking at your destination! Ready to secure transportation for your drum corps this summer? Call GOGO Charters today at 1-855-826-6770. We’re available 24 hours a day and are always happy to discuss your corps’ specific needs, from bus options to amenities and every concern in between. Contact us today to get started!